What does the learning game have to learn from the World Cup? 1. Corners don’t matter that much. Mourino was amazed when English supporters cheered corners, as he knew they rarely led to goals. The stats support this. There is no correlation between corners and goals – the correlation is essentially zero. 2. Then there’s the old myth that teams are at their most vulnerable after scoring a goal. Teams are not more vulnerable immediately after scoring goal. In fact the numbers show that this is the least likely time that a goal will be conceded. 3. Coin toss is the most significant factor in penalty-shootout success. 60% of all penalty shootouts have been won by coin toss winners. Goalkeepers who mess about on the line and hold their hands high to look bigger also have an effect, making a miss more likely. Standing 10 cms to one side also has a significant, almost unconscious effect on the goalscorer, making one side look more tempting. 4. It’s a game of turnovers. The vast amount of moves never go beyond four passes. This has huge consequences – ‘pressing’ matters, especially in final third of field. Avoiding turnovers is perhaps the most important tactic in football. These are just a few of the secrets revealed by Chris Anderson and David Sally, two academics, from Cornell and Dartmouth, in their book The Numbers Game – Why Everything You Know About Football is Wrong. Seasoned managers, coaches, trainers, players often get it wrong because in football our cognitive biases exaggerate individual events. We exaggerate the positives and what is obvious and seen at the expense of the hidden, subtle and negative. A good example is defending. Mancini may have been the greatest defender ever because of what he never did – tackle. We prize tackling, yet it is often a weakness not a strength. We think that corners matter when they don’t. Similarly in education, we prize the opinions of seasoned practitioners over the data: exams, uniforms, one hour lectures, one hour lessons and all sorts of specious things just because they’re part of the traditional game. If a sport like football, which is random and chaotic, can benefit from data and algorithms that guide action such as buying players, picking players, strategy, and tactics, then surely something far more predictable, such as learning will benefit from such an approach? What we can learn is that data about the ‘players’ is vital, what they do, when they do it and what leads to positive outcomes. It is this focus on the performance of the people who really count, learners, that is so often missing in learning. Education has, perhaps, been gathering the wrong data – bums on seats, contact time, course completion, results of summative assessments, even happy sheets. What is missing is the more fine grained data about what works and doesn’t work. Data about the learner’s progress. Here. We can lever data, through algorithms to improve each student’s performance as they take a learning journey. We need the sort of data that a satnav uses to identify where they start, where they’re going and, when they go off-piste, how to get them back on track. Africa is a mobile only continent. Phones were never meant to be tethered to the wall like a goat. Mobile is their natural state and everywhere you go in Africa, you see people with $10 mobiles. There’s kiosks everywhere, that offer phone charging, airtime, money transfer, recycling and repair. We have a lot to learn from Africa in this regard. Why Africa? Mobile is far more important to the poor than the rich. It’s a lifeline to work, money transfer, running a small business, communications with family, medical advice, vetinary advice, market prices and increasingly knowledge and education. There is a strong relationship between internet access and economic growth. 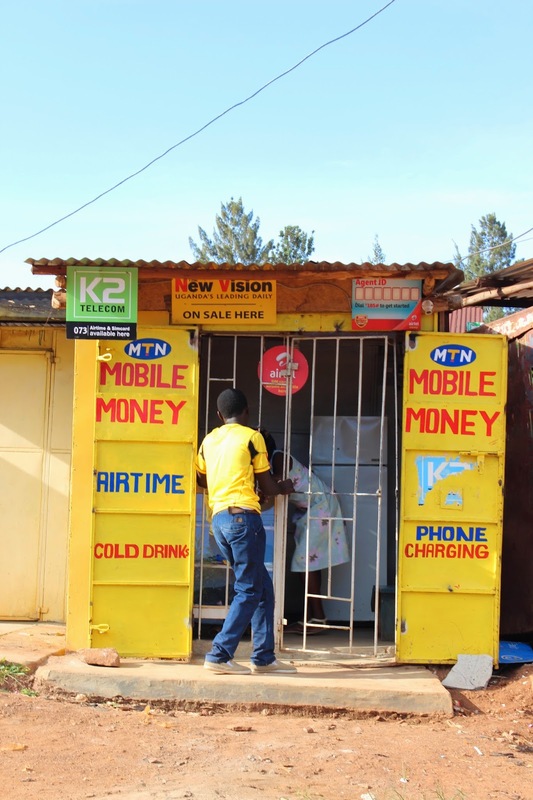 In a donor-dependent continent where agents of virtue, often compound, rather than solve problems, the ubiquitous use of mobile is one of Africa’s great sustainable successes. It’s cheap, compelling and continues to grow as it’s so damn useful. Small businesses can thrive, money managed and progress made in people’s lives. Last year in Namibia I participated in a discussion about mobiles and literacy. Cornelia Koku Muganda, from Tanzania, explained why mobiles were pushing a ride in basic literacy. Every child in Africa WANTS to read and write, as they want to TXT and read TXTS. We now know that this constant writing leads to better literacy, a fuller phonetic understanding of the language and more social skills. There’s even phonics apps to txt in local languages. School is not cool but mobiles are as cool as it comes. I’ve always been rather sceptical about m-learning in the developed world but in the developing world necessity is the mother of mobile learning, with Dr Maths through Mxit, Wikipedia Zero, even SMS requests for SMS delivery of Wikipedia in Kenya. There’s a vibrant, home grown m-learning industry emerging. Africa has its share of problems, with cronyism and corruption but remember that eth Arab Spring happened largely in Africa and young people across the continent are finding their voices leading to gains in transparency and political action. They have leapfrogged the landline infrastructure and with 635m mobile subscriptions rising to 930 million by 2019. $10 simple phones, often with FM radio and torches are still dominant but $50 smartphones have hit the market. Samsung are the market leader but cheaper Chinese phones are gaining ground. (Note that Apple has only 3% share of the smartphone market.) 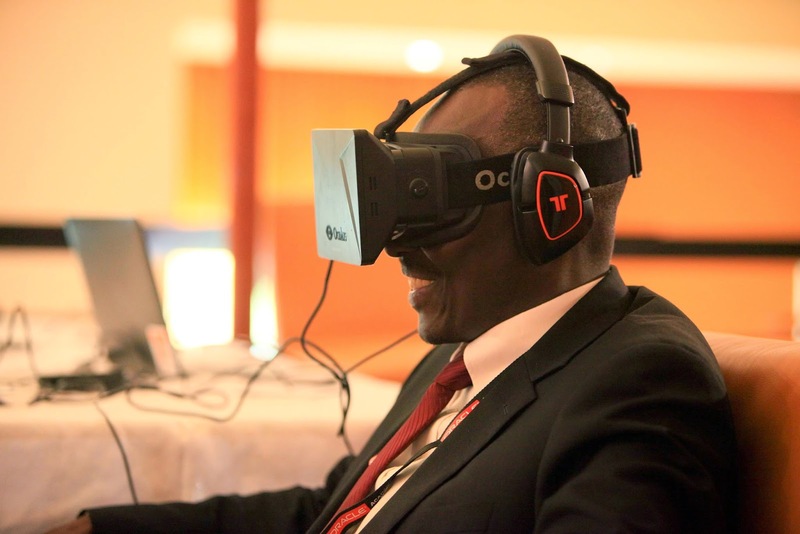 This will make a huge difference as internet access in Africa is largely through mobiles. 70% of internet use is via mobile. According to a World Bank study, An astonishing 1 in 5 would forgo basic necessities, such as food, for extra airtime, it’s that valuable a commodity. This is a good news story from Africa, something simple and sustainable that has emerged across the whole continent. This is something that Africans use with other Africans to improve their lives. For Africa, the future is mobile. It’s powerful, personal and portable; perfect in a continent of huge distances with huge problems and huge demand. Scalable internet access offers a cheap infrastructure with access to free content. (This is a sort of summary of a contribution made to BBC Radio Scotland this morning). A mind blowing week in central Africa at the eLearning Africa Conference in Uganda, where I was flipped so many times, both mentally and physically. My mind was repeatedly flipped when I saw the wrong solutions being forced into the wrong contexts. Conversely, I saw unexpected solutions in the right context. Physically, I was flipped into the Nile on a White Water raft trip – more of that later. 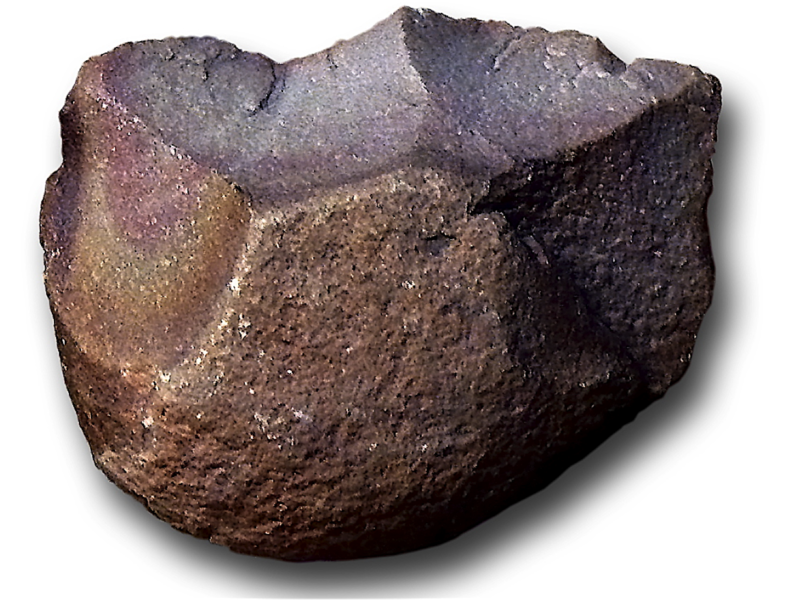 My opening gambit in a talk to Ministers from across Africa was to show that we were not far from the Rift Valley, where the first technology was invented by man – the stone axe (see full article on its importance as a learning technology). This handheld device was to last for the next 1.5 million years and is a window into the mind of early man. 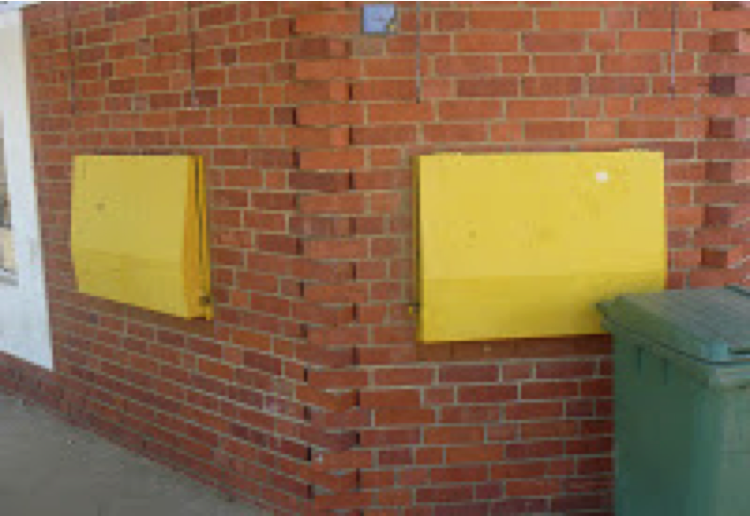 It showed, intent, planning, ability to find resources, hand-eye co-ordination and a culture of teaching and learning. We were close to the source of the Nile, and it was in Egypt that the first writing was invented (see full article), the big-bang in learning technology, far more important then the printing press. Papyrus technology was also invented in Africa (see full article). So what does Africa need now? In asking what Africa needs now from technology and learning I believe we must stick to a simple mantra – that innovation is not innovation unless it is sustainable. Sugatra Mitra’s Holes in the walls are now just that – holes in walls, with no computers, no lasting impact, a waste oftime and money. Tablets may prove to be less than useful, especialy Negroponte's Ethiopian experiment. Before any initiative is funded or started, do a cost-effectiveness and sustainability analysis. Flip the mindset away from devices to infrastructure, and focus spending on bandwidth so that accessibility and prices fall. $50 a month for an unreliable 126K connection is way too high. This means deregulation and getting networks built along with free tariffs, such as Wikipedia Zero, for educational content. 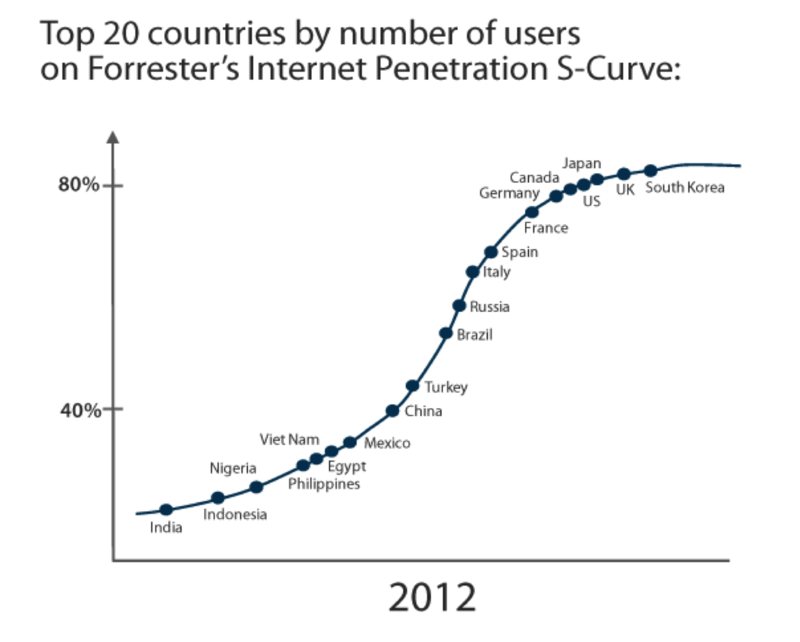 Economic growth is closely correlated with internet penetration. Africa is littered with short-term, funded pilots. A donor-led, pilot mentality means too many pilots are really ‘doomed to succeed’ and fall flat when finished. Pilots are thinly disguised research projects, often led by academics whose real goal is simply publication not pragmatism. Fund projects that have real feasibility objectives and sustainability as their goal. Africa has schooling and Universities but a huge hole in the middle – vocational colleges. Yet what Africa desperately needs is not more Universities but more vocational learning. Economic growth will come from practical skills agenda not building expensive educational institutions. Why copy a University system that doesn’t work in the developed world. It’s expensive, elitist and graduate unemployment is rising. Only 6% of Africans will even have a chance of a University education, what about the other 94%. Let’s focus on them, as they are Africa’s future. The Millennium goals focus too much on simple schooling, yet all of us eventually leave school. What happens then is important. Employability and job creation is vital, not the Anglo-Saxon liberal-arts, colonial agenda. It’s not schools that matter but what is taught and learnt in schools. Improve the quality of teacher training (take it out of Universities) and focus on what is required locally. Africa has the highest growth in mobile penetration in the world. Everywhere, people have cheap phones and use them to transfer money, communicate and get on with their lives. Mobile griwt has been the big success story and new, cheap smartphones will accelerate internat access via mobile. They’re cheap and compelling because they’re useful. Africa needs to do the same with learning, leapfrog with good infrastructure projects that use the BYOD devices. 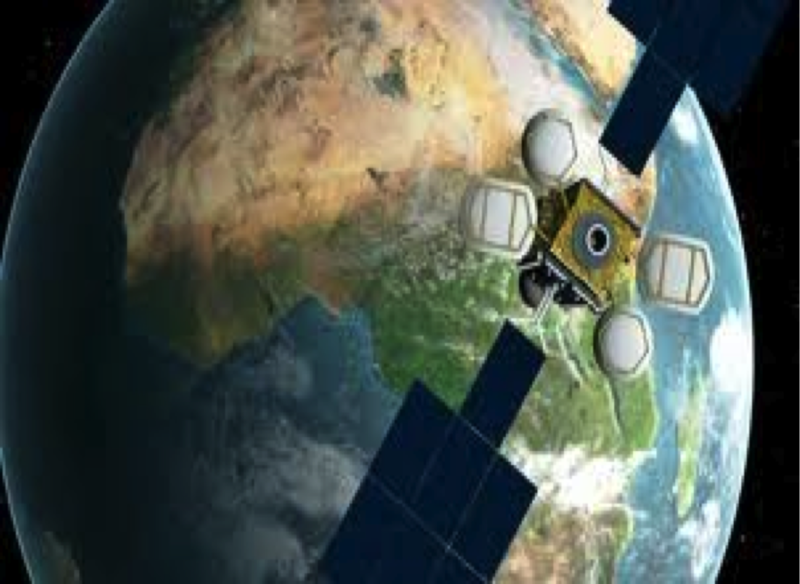 Fascinating things are happening on leapfrog infrastructure – a geostationary satellite above the Congo with pan-African reach – one way internet access but a start. Then there’s Facebook’s solar powered drones using infra-red to provide internet access, easy to launch and maintain. Finally Google’s balloons. They say that information wants to be free, well education now wants to be free. We have Wikipedia, Khan Academy, OER, MOOCs (see articles on MOOCs) and so on. Africa would be mad not to take this stuff, as it’s free. MOOCs are now being produced by the likes of EPFL, Kepler and the African Virtual University in relevant languages on relevant topics – and they’re free. With MOOCs Africa has bandwidth problems, even on campuses, so well designed offline solutions are needed. We also need to integrate MOOCs into local curricula, blend involving local faculty, collaborate at the teacher level. Academic regulations need to be amended and MOOCs bundled. Africa is rising and needs, not the failed models of the developed world but new models that are more suited to the massive demand that already exists for education and training. This is not more universities but more vocational learning. The great opportunity here, is to use the great gifts of the internet, that are already there, for free. This conference is a small miracle, but it's in Africa and well attended by Africans from across the continent. Once again, Rebecca Stromeyer and her fantastic team pull together a fantastic conference that focuses wholly on Africa and is not scared to ask hard questions and seek out new and radical answers. News from China may be the greatest boost Africa has seen in a long time. A major Chinese Solar Tech CEO says, "We are not far away from the cost of (solar energy) production for conventional energy. We are sure that by 2016 - or at the latest 2017 - the cost of solar PV will be the same as coal-fired generation in China". If true, at that moment each ail drive economic and educational growth in Africa.